A drama about friendship and lost innocence, The Kite Runner is an engrossing story of personal and societal upheaval. 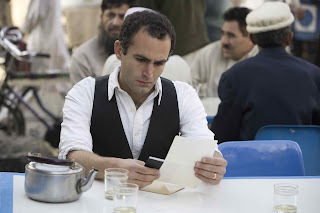 In 2000, Amir (Khalid Abdalla) lives in San Francisco, is married to Soraya (Atossa Leoni) and has just published his latest book. A phone call from old family friend and mentor Rahim Khan (Shaun Toub) implores Amir to visit his homeland of Afghanistan. In flashback, Amir remembers his childhood circa 1978, around the time communist and Islamist influences were reshaping the country. As a young boy, Amir looked up to his highly principled father Agha Sahib (Homayoun Ershadi), a well-to-do intellectual and philanthropist. Amir's best friend was Hassan, the son of the family's head servant, although Hassan was from a different ethnicity and subjected to taunts and bullying from other neighbourhood boys. Amir and Hassan compete as an effective team in the popular sport of kite fighting, with Hassan an expert in retrieving fallen kites. A harrowing incident of abuse ruptures the friendship between Amir and Hassan. The Soviets invade Afghanistan, and Agha Sahib flees the country with Amir. They start a new life in the United States, mingling with other Afghan refugee families, where Amir meets Soraya. But now the past has come calling, a secret is revealed, and Amir heads back to his devastated homeland to take care of unfinished business. 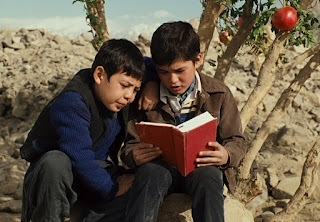 An adaptation of the best-selling book by Khaled Hosseini directed by Marc Forster, The Kite Runner achieves a unique resonance. Epic in scope and scale and yet deeply personal, the David Benioff script captures the delicate tones of nostalgia as seen through the fog of individual failure, seismic social changes, and the complex immigrant experience. The film is never less than fully engaging, and although a tense and violent confrontation with bad guys in the final act is not to the same standard, it is brief enough to not substantively matter. Most of the scenes set in Afghanistan are in the Dari language (the local variant of Farsi), but thanks to stellar work by the cast members (both the adults and the children), it hardly matters. Forster is able to tease out the dangerous undercurrents of change churning below Amir's childhood, his father's increasing references to communist politics and fanatical imams culminating in Soviet tanks rolling into the country. Before then, The Kite Runner is a story of an asymmetrical friendship, the scrappy and resourceful Hassan pure in his unblinking loyalty to his master. Amir is more bookworm than streetwise, and his unwillingness to face down adversity is a large part of the chasm that develops with Hassan. Self-loathing erupts into relationship carnage, and it would be many years before Amir can make amends. When the film moves to San Francisco it turns into an eloquent exploration of the immigrant experience, intellectuals and former generals now running ramshackle grocery stores and trading amongst themselves in sprawling bazaars. And yet they carry the pride of their former status, as well as the ancient cultural norms and expectations until the chain is consciously broken. The Kite Runner soars on the winds of heartfelt drama, and the echoes of childhood resonating across decades and continents.